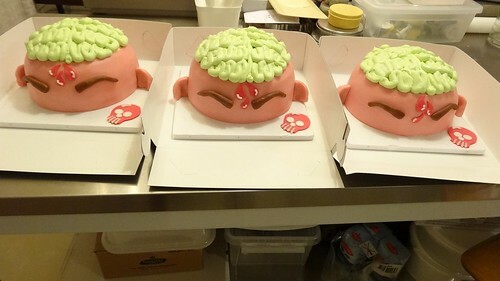 Brain Cakes, a photo by CAKE Amsterdam - Cakes by ZOBOT on Flickr. These cakes were made for HOBBY FILM. Last year they got horse heads (from the Godfather) the year BRAINS, from Silence of the Lambs for their Amsterdam appointments.